After seven months in South Korea and nine months in Japan, Coen and I were ready for our next adventure. However, it was September and after having spent the winter in snow-covered Japan, we didn’t feel like repeating that type of adventure for a long, much severer, winter in Siberia, Mongolia and Central Asia. We worked for two months on rebuilding the website and flew to Vladivostok for a week. The latter was a first step in conquering the bureaucratic hurdle of obtaining a long-term Russian visa for next year. We also worked on articles for publications so we’d have our hands free for a while. For the past couple of weeks Coen was in Taiwan, his stay being centered around an Ultra Trail run (the Formosa Trail), and I flew to Thailand to immerse in yoga. We reunited in South Korea and packed our bags for Jordan. 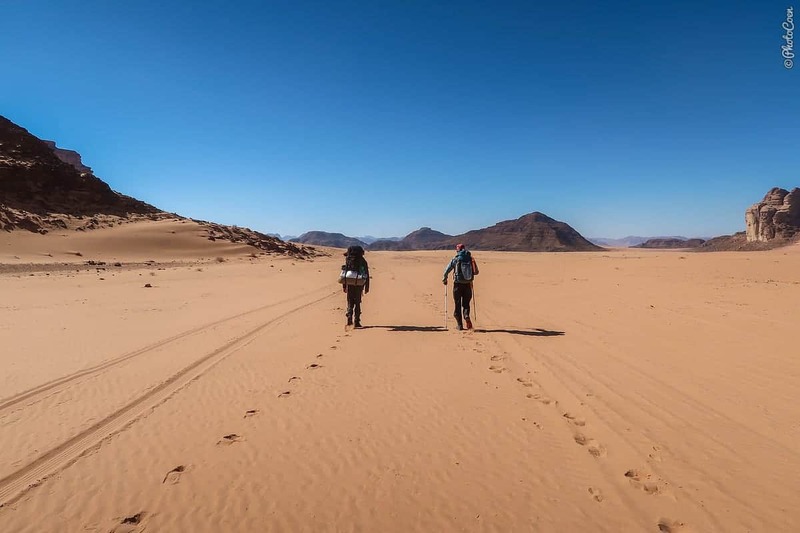 We will have two months to hike the Jordan Trail, followed by a couple of days sightseeing with my mother and two sisters who will join us after we’ve finished the trail. The Jordan Trail is new. That is, the trails themselves have existed for ages, – for ‘ever’ you could say. Apart from being trodded by nomads, of which the Bedouin are arguably the best known, they have been used for human migration and trade. Over time people have created new routes and abandoned others; today the country consists of a maze of trails. 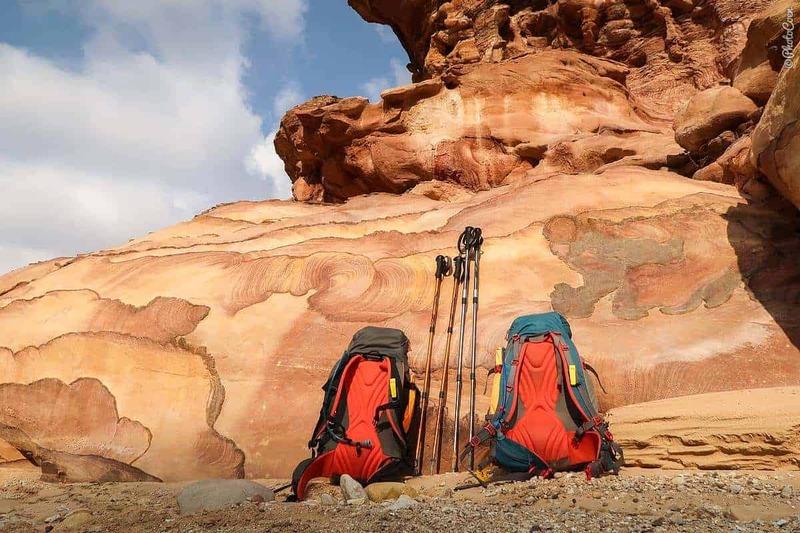 An enthusiastic hiking couple initiated the development of a dedicated trail from the north (Umm Qays) to the south (Aqaba). The Jordan Trail was developed by a group of hiking aficionados, politicians, guides, enterprises, and Jordan Trail Association. 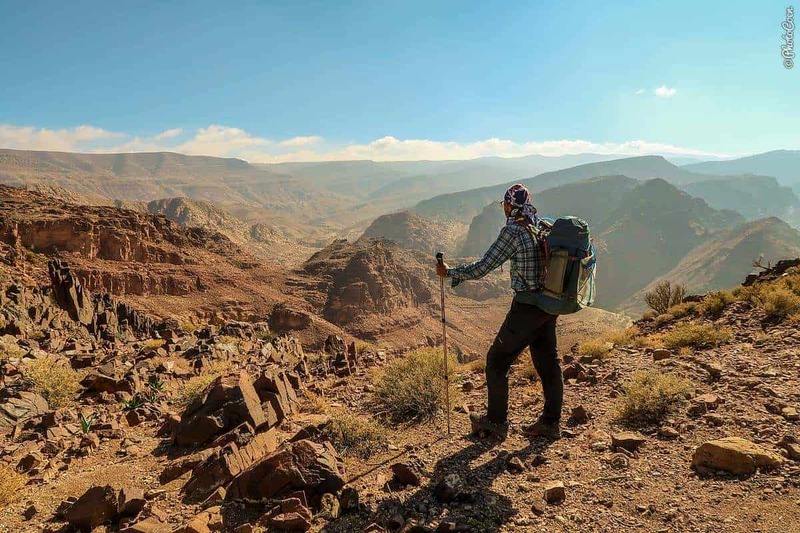 The trail crosses 52 villages and runs from green, wooded hills in the north through the Jordan Valley with rugged wadis and cliffs farther south to the vast desert (best known through images of Wadi Rum) and ends at the Red Sea of Aqaba. Some 40 days of hiking will take us across 650 kilometers of trail. This is not just about hiking. It’s about immersing ourselves in a (to us) new culture, a country with a rich history still visible in thousands of ruins of ancient civilizations. We also know Jordan to be super hospitable (a characteristic of the Middle East) and we hope to be meeting and spending time with many local people along our walk. Stay tuned for what, without a doubt, are going to be amazing, inspiring blog posts! Update: After the hike, we published the dispatches. To learn more about the Jordan Trail, check out their website and Facebook page. can’t wait to learn more about your Jordan trip.